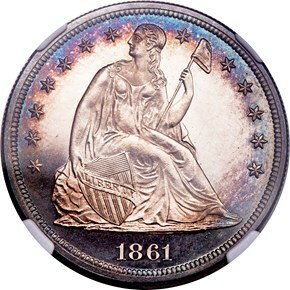 On paper, the 1861 might seem like one of the most common proof Seated Dollars of the Civil War era. 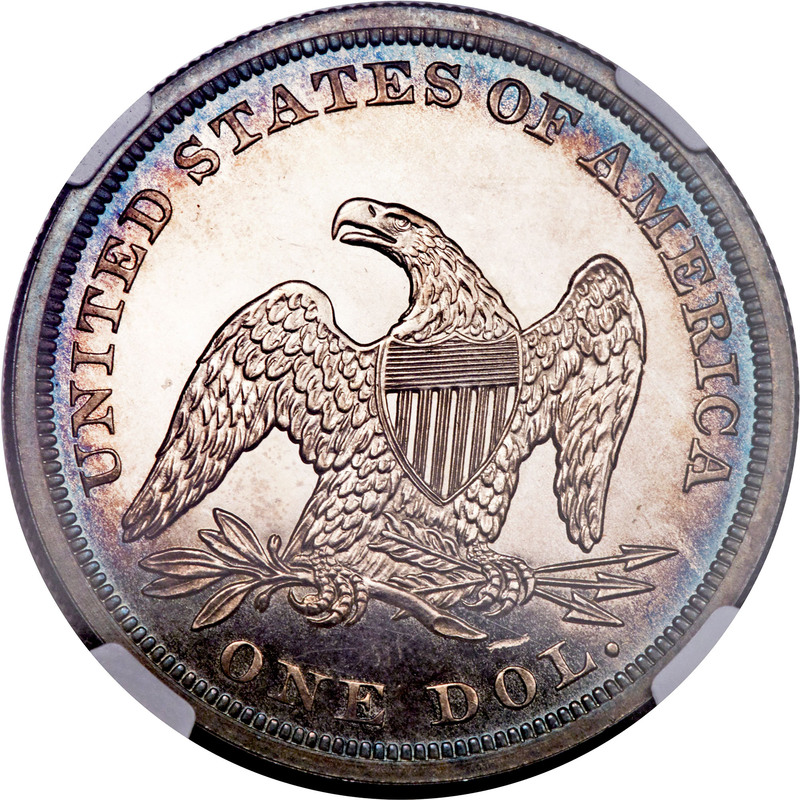 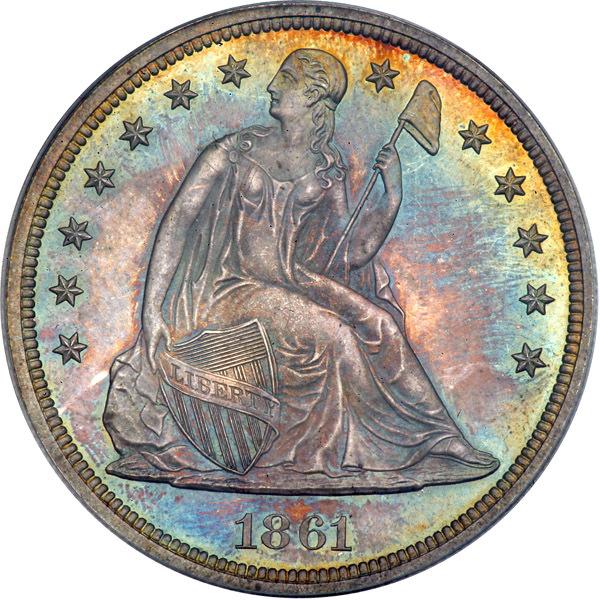 After all, the original mintage of 1,000 coins is the second highest in the No Motto series after the 1860. 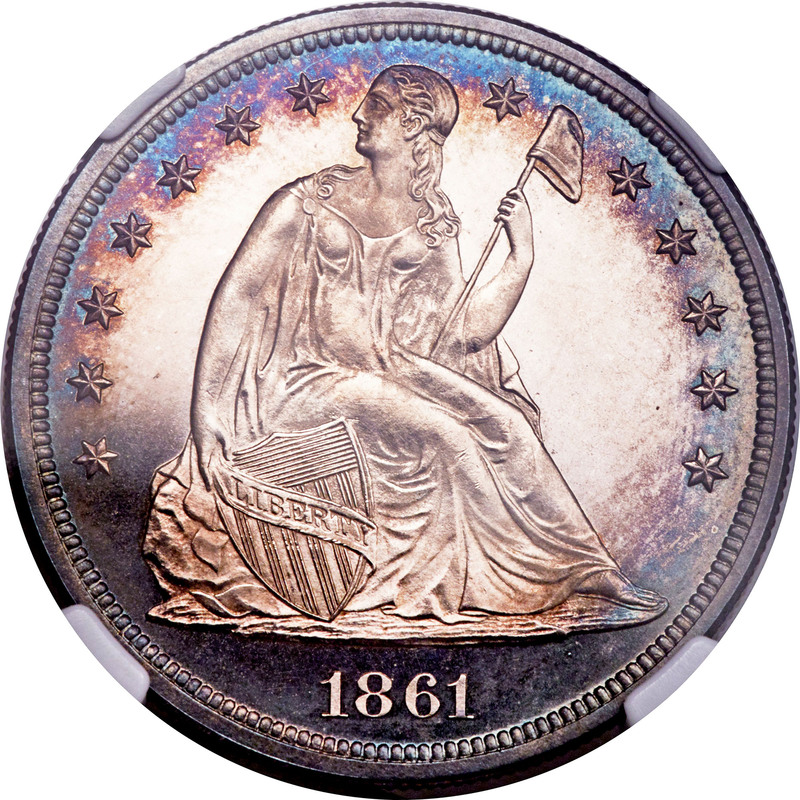 What a quick glance at the Guide Book will not reveal, however, is that the Mint melted 1,061 proof sets on January 13, 1862. 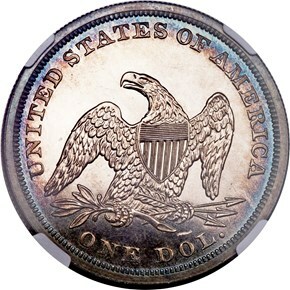 Some proof singles may also have been included in this group, and we are fairly certain that a large percentage of the original proof 1861 Dollar delivery met its end that day. 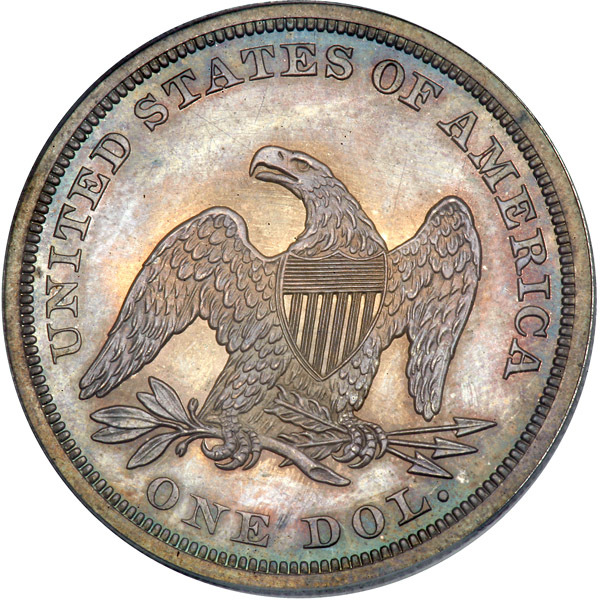 The number of surviving examples in today's hobby suggests that approximately 350 proof 1861 Seated Dollars escaped the melting pot, with the certified population dwindling rapidly above the PR64 level.